Save A Trip to the Genius Bar. Hi. I’m Mike Murphy. I’m 48 and live in a small cottage 2 blocks from the beach in Old Naples. I do not own a car or a suit. I walk or ride my bike or Vespa everywhere. I like Guinness, good music, and watch the sunset nearly every night while taking photos, making videos, and doing Instagram Stories. 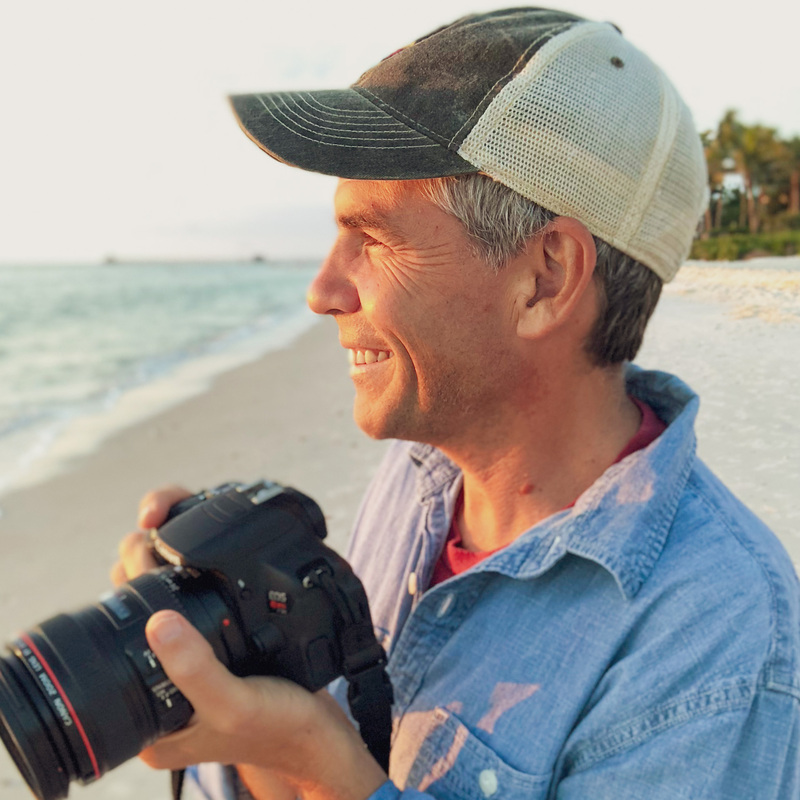 Tech Explorer: I am a podcaster, designer, blogger, tutorial maker, photo and video guy and I never stop learning or sharing my knowledge. Someone once described me as The MacGuyver of Tech and it was the greatest compliment ever! 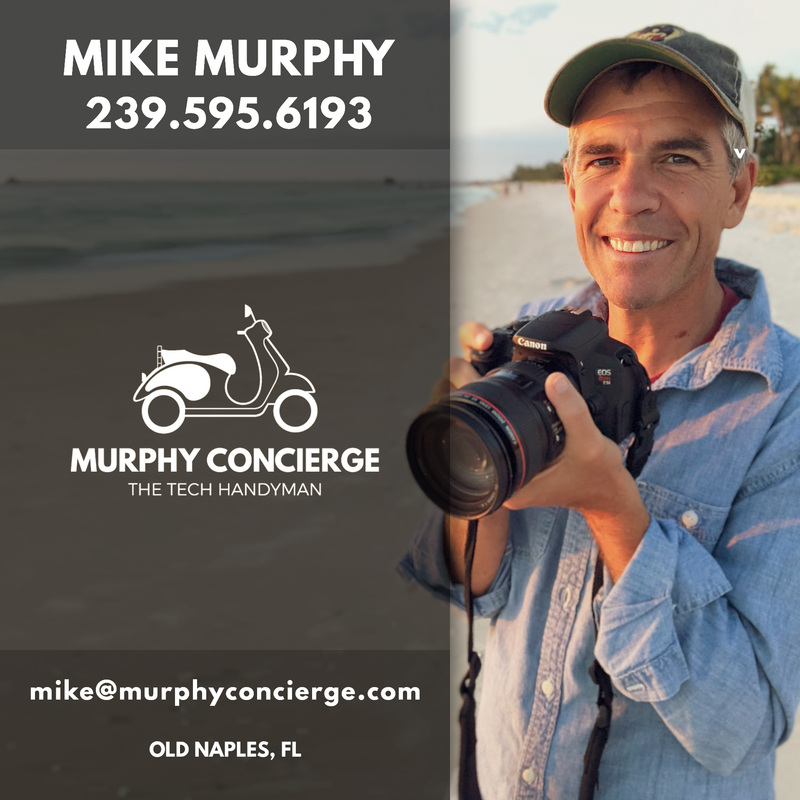 Murphy Concierge is Simple: If your iPhone, iPad, Mac is acting up, or WiFi is now working, or printer cartridges need changing, or you just want a lesson on how to use your iMac or Amazon Alexa, Facebook/Instagram… Call Mike. My clients tend to be retirees (60+) and independent business owners. Murphy Concierge is located in the heart of Old Naples, FL. 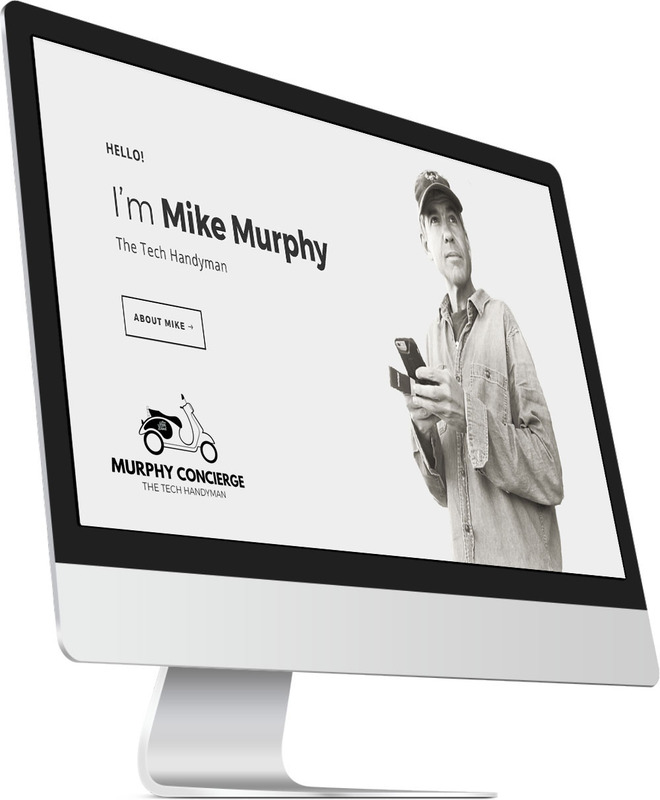 🤳I created Murphy Concierge to give people a safety net and direct line to me for tech support and to make it really easy and convenient. You can save yourself a trip to the Genius Bar as I will come to you. My clientele tends to be small businesses and senior citizens. If you are having trouble with your Apple or Digital Products (iPhone, iPad, Macs) or your printer cartridge is out of ink or your wifi is down, or you just want to learn more about your devices or do more online. I’ve been in the service business my entire life and I’m a tech nerd who lives and breathes this stuff. Nothing makes me happier than showing someone how to do something on their iPhone or syncing their contacts, or the holy grail, getting someone to actually understand what ‘iCloud’ is 🤓. Hello Mike, Thank you for all you have done to coordinate our iPhones, our iPads, and our Mac computers. It is wonderful to have them all working in sync with each other. Your business card says you are reliable, knowledgeable, friendly, and patient. You have all of those attributes, and more. It is truly a pleasure to work with you. And, best of all — — — we have been able to avoid having to go to the dreaded Naples AppleStore!! Thanks for all you have done, Mike. Jan and I look forward to working with you for many years to come. My comfort foods are Apple devices and Adobe Creative Cloud. I have a creative and curious mind.